Hey, dolls! I hope you are all doing well and enjoying your day. I recently got the opportunity to try out what is the probably one of the coolest curling hair styling tools that I have come across-the InstaWave™ by KISS. 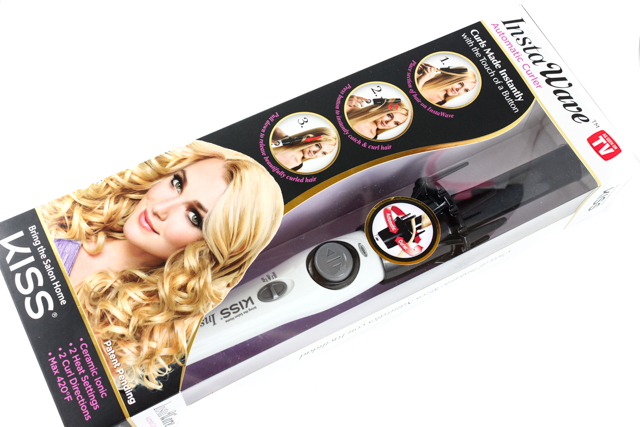 I love checking out the latest innovations when it comes to hair tools and I gotta say, the InstaWave™ is unlike any other curler I have tried before. 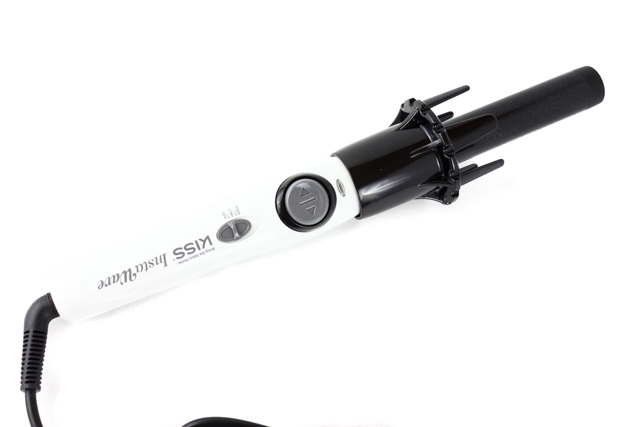 This revolutionary tool not only makes curling hair easy, it's also fun too. The InstaWave™ is an automatic, tangle-free curling device that's comprised of ceramic technologies that give the hair a healthy and shiny look, while also reducing frizz and damage. 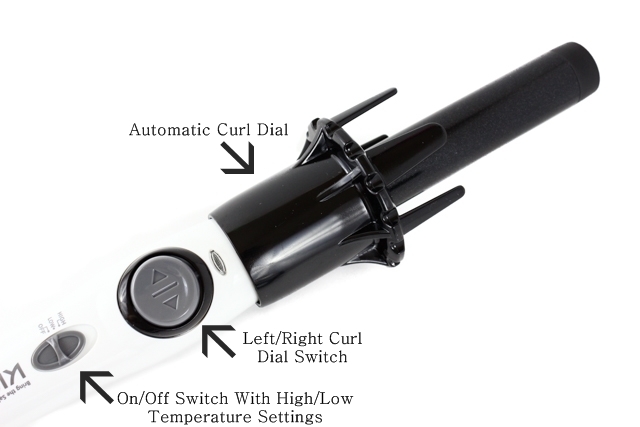 The device has two heat settings (high/low) with the maximum temperature being 420° F. The curl dial feature is something that I think many will appreciate since it allows for left/right curling directions, thus resulting in more natural looking curls. The device also has an automatic 90 minute shut-off, which is great. I have to admit, I was a little intimidated by the InstaWave™ at first. I am accustomed to the more traditional curling irons, and I wasn't sure how this tool was going to fare up to them in terms of effectiveness and ease of use. Well, turns out I was concerned for nothing because I was surprised at how quickly I got the hang of the InstaWave™, which is super easy to use. The device heats up fairly quickly, and it's not heavy to hold at all. I didn't experience any tangling or tugging during the process, and I found that for my thick shoulder length hair, 20 minutes was all it took to curl my whole head. Love that! The end result I achieve with the InstaWave™ is just awesome. This tool makes my curls super bouncy, soft, and voluminous. My hair also looks shiny and healthy, to boot. My hair has the tendency of not holding a curl very well, but with the InstaWave™, my curls are still intact the next day. 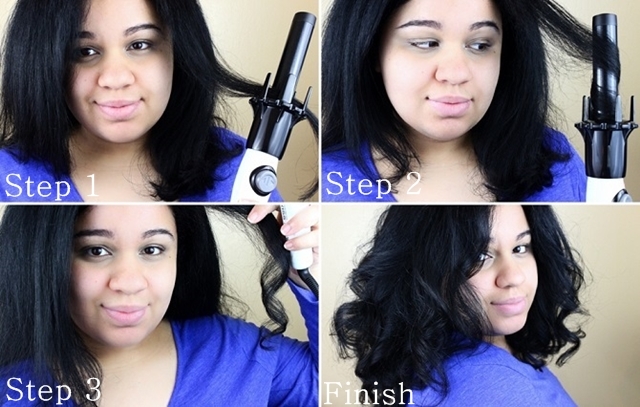 Step 1: Hold the InstaWave™ vertically and place a section of hair on the curling rod. Step 2: Press the dial switch button either left or right, and the barrel will start rotating automatically, catching and curling the hair. Keep pressing the dial switch button until the hair is fully wrapped around the barrel. Release the dial switch button and let the InstaWave™ heat hair for 5-10 seconds. If you want tighter curls hold for a bit longer. Hold less for looser waves. Step 3: Once hair is curled, pull the InstaWave™ straight down to release hair section. Step 4: Done! Break apart the curls with fingers for a more natural, tousled look. To maximize hold, spray curls with a bit of hair spray. There were a few things I came across when using the InstaWave™ that I think are worth mentioning. First, when I first plugged in the device, I noticed a faint high pitched sound coming from it, that went on the whole time the curler was in use. It was definitely a concern for me but we were assured that there were no safety issues associated with it, and that the sound is caused by the circuit to drive the motor. Next, I think this device is a bit more effective for those who have medium-long hair lengths. I have shoulder length hair but I do have a few short hair pieces in the very back of my head, and I found that my hair would slip out of the device often when I would try to curl it with the InstaWave™. After a few tries though, I eventually got some curling action going on. While there are a number of curling devices in the market, the InstaWave™ totally holds it's own. It's refreshing, effective, innovative, and easy to use. What could be better? This is definitely a tool that I am going to be reaching for often whenever I want to easily achieve beautiful, lasting curls. What do you all think of the InstaWave™? Disclaimer: This post has been powered by BrandBacker. I received the product mentioned above for review purposes. For more information, please visit my disclosure page. Gorgeous! Love the voluminous curls! I love having curled/wavy hair but it takes a lot of heat to get my hair staying curled all day! Thank you, Sharlynn! I go through the same thing with my hair often times, but with this curler, my curls can prolong well into the next day.